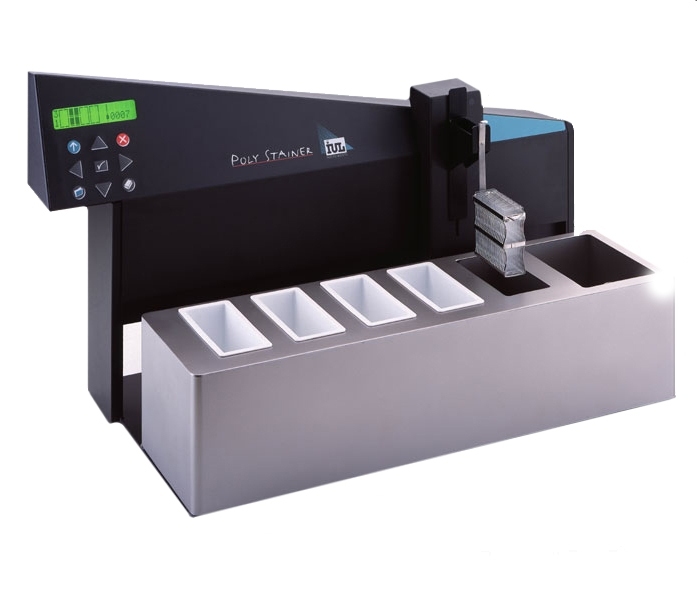 IUL Instruments engineering team has recently developed a novel device for automatic staining slides. A programmable Microbiology and histology staining instrument, the Poly Stainer will reduce the technologist bench time significantly. The constant rinse cycle eliminates cross contamination, producing a standardized, clear stained film. The Poly Stainer is suitable for batch or stat operation. With memory capacity of 10 programs, each with 10 different positions, most manual staining processes can be automated on the Poly Stainer. it will increase your lab productivity and provide standardized, high quality results. Weight 50.6 lbs. / 23 Kg. Voltage 115VAC 60Hz / 220VAC 50Hz.